Animal Kingdom turns out to be more an interrogation into the sickness and dysfunction of a crime family (mother – Jackie Weaver, and various sons), seen from the close-up viewpoint of a teenager (J, James Frecheville), forced by circumstances to move in with his uncles. J seems initially completely lost, victimised by events (mother’s overdose, no place to stay) and later by the uncles, as he becomes a liability who knows too much about their slow-burn battle with the Victorian police. However, his mind turns out to be far steelier than the impression betrayed by his actions. This is a great performance, with few words, and speaks as much for the direction as for Frecheville’s talents. 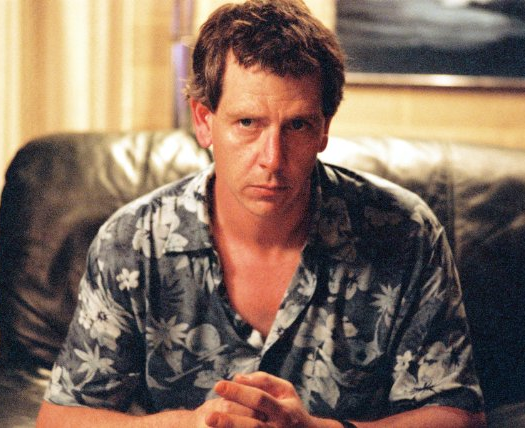 The brothers are various shades of toughness, dumbness and insecurity, with Ben Mendelsohn’s ‘Pope’ – the family elder – being a truly disturbing sociopath, the kind who seems completely normal until he simply pulls out a gun and shoots you. No criminal could be more real; a great performance, and again great direction. The other brothers are equally well-played, proving a rounded picture of the many ways in which dysfunction can manifest itself. There are two counterpoint characters: Jackie Weaver as the ruthless but charming (in a kind of suburban Melbourne way) queen bee, and Guy Pearce’s Detective Senior Sergeant Leckie, the police lead on the events that occur during the film. Sometimes I couldn’t tell if Weaver was acting at all: the character is so ‘suburban Australian’ in its tenor that she seems simply to have been lifted from some house in outer Melbourne. This is the mark of a great actor, and I think she deserved the Oscar nomination for supporting actress. Guy Pearce similarly seems just like a certain variety of Australian cop you might meet on the street or see on the ABC news: calm, courteous, no-nonsense, has a heart (evidenced by his sincere attempts to steer J on the right course) but nevertheless under no illusions. Pearce I think is one of the truly great actors of our time – I can’t think of a single performance where his character was not totally credible – including some of the small ones, such as the abdicating Prince Edward in The King’s Speech. I think the ultimate accolade for this film has to go to the first time director and writer, David Michôd, who has to be congratulated for having written a nearly faultless screenplay, and then orchestrating a nearly perfect ensemble performance. Been meaning to see this one – but it’s challenging, ‘cos I can’t exactly watch it with the kids, and Natalie won’t be interested either. I’ll just have to make some time on my own, and watch it through.